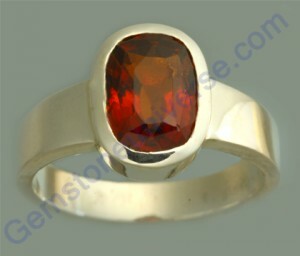 Comments The fiery orange colour of this Natural hessonite from the Sri Lankan Mines just exudes Mystery! The warm amber like glow was evident even before setting it into this solid Silver ring, but after setting the glow is further intensified! These are the kind of gems that deliver the expected results in the expected time!